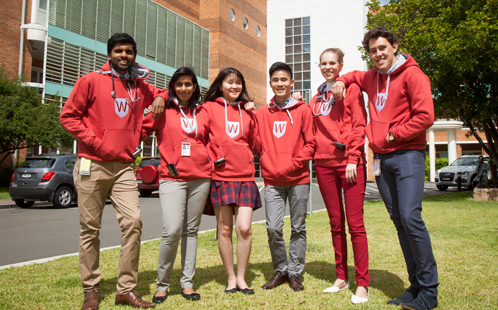 On Monday 13 February, we were excited to welcome the latest cohort of medical students to join Western Sydney. As a special recognition that this group was joining during the School's tenth anniversary year, we were honoured to have Uncle Ivan Wellington, Elder on Campus share with us a smoking ceremony in the grounds surrounding the Building 30 and welcoming these students to Tharawal land. And there was also the opportunity to join in another special treat, as part of Orientation activities. Access the images from our recent School of Medicine Awards Evening (opens in a new window). On July 7, staff and research students had the opportunity to get a snapshot of research being undertaken across the School as part of the Three Minute Thesis competition. The winner was Nerrisa Heran (pictured here on the right with one of her supervisors - Dr Christine Chiu). Her talk on a novel screening method for coeliac disease was in a great field, with each participant working on projects focused on improving our understanding, treatment of and support for patients with complex health conditions. She will now proceed to the University finals. A study by Western Sydney University has found local health professionals are struggling to treat the large number of socioeconomically disadvantaged patients with complex health problems who often require unaffordable specialist care. The study, funded by the Australian Primary Health Care Research Institute, investigated the experiences of 57 Primary Health Care Providers and consumers in the Blacktown- Mt Druitt area, providing new insights into the challenges facing the health system in western Sydney. The report found general practitioners (GPs) were concerned with the number of patients presenting with chronic illness and multi-morbidity, many of whom found difficulty in navigating the health system and often spoke English as a second language. Current conjoint Professor and former Deputy Dean of the School of Medicine, Professor Brad Frankum has recently been elected as the new President of the Australian Medical Association (NSW). Find out more about this new appointment (opens in a new window). 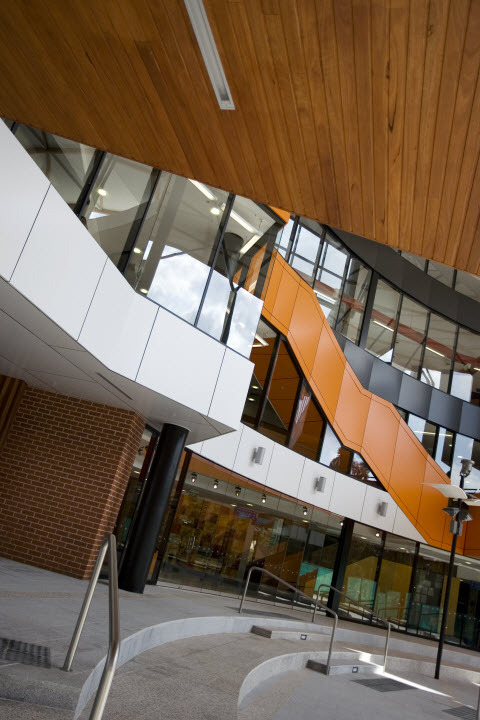 On May 17, the Premier officially opened the new seven-storey Clinical Services Building - the centrepiece of the $312 million Stage 1 hospital redevelopment. Half of our Year 1 and 2 students begin their hospital and patient contact experiences at Blacktown/Mt Druitt Hospital and all students will spend some of the clinical training on the wards and in the Emergency department and other services at the hospital. Read more about the opening on the hospital's website and about the project, including all the community engagement components. Professor Peter Zelas (Clinical Dean) and Professor Michael Edye (Professor of Surgery) are pictured here at the opening. The seat is one of the examples of the vibrant artwork you'll find in the hospital. Professor Annemarie Hennessy has received an award in the 2015 Queen's Birthday Awards, as a Member in the General Division in the Order of Australia. This is denoted by the postnominal AM. She has been recognised for 'significant service to tertiary education, and to medical research, particularly in the area of clinical hypertension and maternal health'. 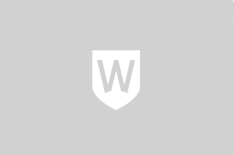 Professor Hennessy AM commenced with Western Sydney University in September 2006, prior to the first intake of students in 2007. Since becoming Dean in 2011, she has continued her involvement in student teaching in the lecture theatre and in the hospital, and the supervision of PhD students as part of her team's research activities exploring preeclampsia. She also continues her clinical work at Campbelltown/Camden Hospital and Tharawal Aboriginal Medical Service. Peer Support - A treatment option? 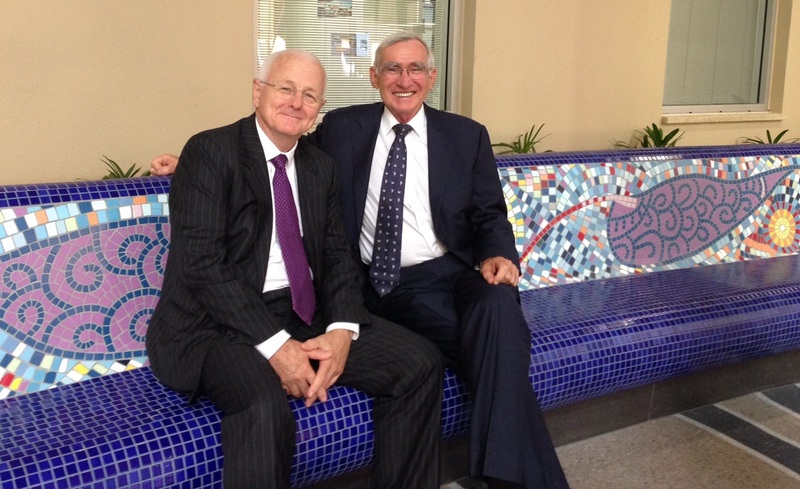 Professor David Simmons, who has commenced with the School of Medicine as Professor of Medicine at Campbelltown Hospital in 2015 recently published the results of the world's largest study of diabetes peer support from a project initiated with colleagues from Cambridge University Hospital where he had previously been based. Saad Nagi and Sumaiya Shaikh met at Campbelltown campus during a science experiment. Saad has been researching pain as his PhD and postdoctoral work over the past six years, and Sumaiya was a study participant who was studying her undergraduate degree at the time and is now completing her PhD. In August, they were married at the same campus.